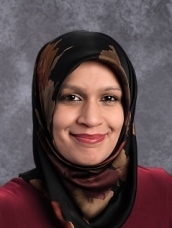 It is with great pleasure that we welcome Ms. Saba Baig to Al Fatih Academy as a Fourth Grade Teacher! Ms. Saba earned her Certification and Master's Degree in Education from Rutgers University. She has previously taught at both the elementary and secondary school levels. Ms. Saba loves connecting with and nurturing children by building upon their innate strengths to successfully become both lifelong learners and global citizens. In her free time, Ms. Saba loves reading, traveling, being outdoors and spending time with her family.